A recent card, with a blurred postmark – although the Olympic Rings are just visible on the lower edge of the postmark. I love the red, 1 riyal stamp with its illustration of a manicurist! More information on this definitive series here. The picture on the front has to be one of the most famous and iconic views in the world. 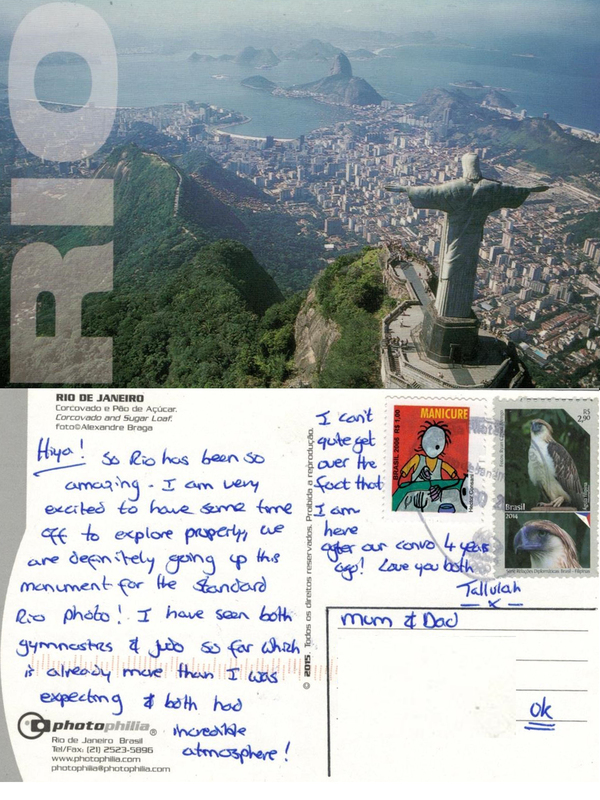 This entry was posted in autobiography, Deltiology, History, holidays, Life, News, Nostalgia, People, Postcards, Social History, Travel, writing and tagged autobiography, daughter, family, Olympics, postcard, postcards, Rio, Rio de Janeiro, Super Saturday, travel, writing. Bookmark the permalink.